Ruptured Horizon investigates the dynamic relationship inside how the performer navigates their directional presence while inhabiting and effecting a landscape both imagistic and concrete. 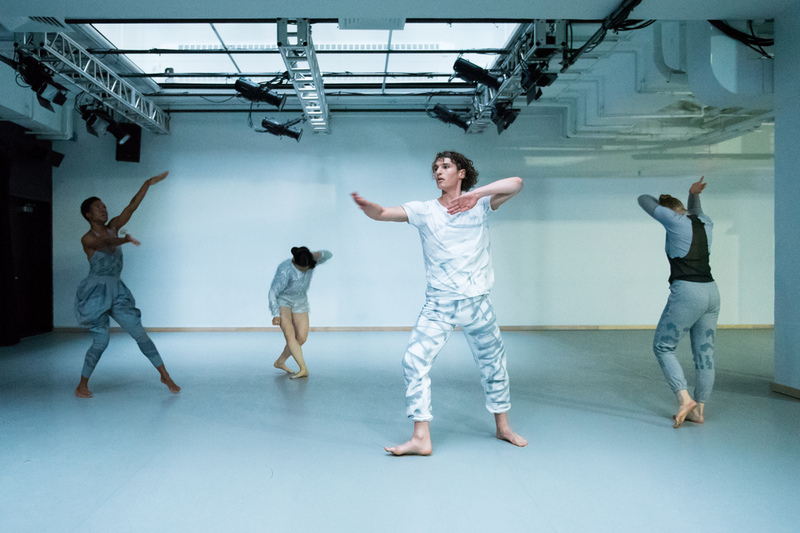 Sperber, joined by lighting designer Elliot Jenetopolous, costume designer Christian Joy and violist Jessica Pavone, uses Gibney Dance’s white box theater as a blank canvas to create layers of environment that continually assert, define and reveal the space. At the center of the work lies the intimate embodiment of attention within the dancer. Patterns of choreography build and unravel as the dance slips between the spontaneous and the specific. With a questioning of how light affects our perception of space, time and architecture in and around the moving body at the foundation of their design, Elliot Jenetopolous’ lighting supports natural elements in the space and accompanies the dance as a visual gesture. Their lighting design weaves together Sperber’s carefully articulated choreography in space to frame and unframe what we may see. Violist Jessica Pavone surrounds the work with atmospheric textures mirroring the cyclical nature of Sperbers repetitive patterns. In the collaboration Sperber and Pavone find driving intensity that swells and fills the work. 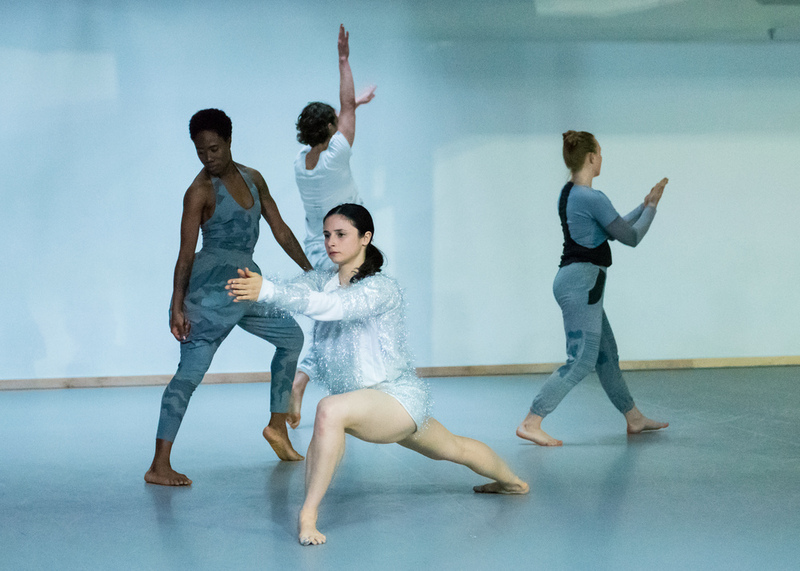 They also yield to the vast landscape of the work as they listen to scores built in; the footwork glides, sweeps and pushes while costume fabric slaps and unfurls. Sperber’s choreography weaves in the the unique movement, shape and textures of the costumes, designed by Christian Joy. The vibrant and colorful costumes add a material layer that partners with the dancers and exist also as objects in the space separate from their bodies. Sperber brings these collaborations to fruition in Ruptured Horizon, allowing it to become an experiential work.